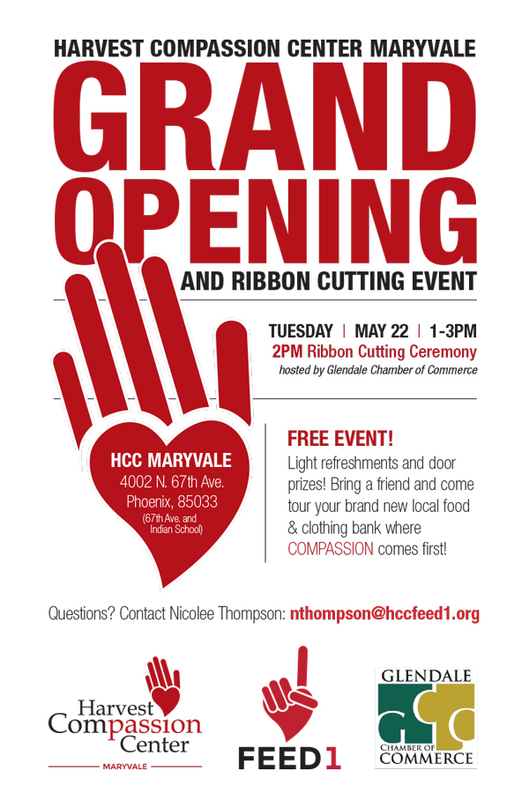 Join us on Tuesday, May 22nd 1-3pm at Harvest Compassion Center Maryvale for our Grand Opening and a Ribbon Cutting with the Glendale Chamber of Commerce at 2pm. We are excited to be a member of the Glendale Chamber of Commerce and welcome their members and all of our community to HCC Maryvale on the 22nd for a tour of our outreach, light refreshments and door raffle prizes! Please mark your calendars and come SEE what the HCC Maryvale is doing to serve our neighbors in the West Valley!